Timothée Chalamet’s gripping performance in “Beautiful Boy” proves he’s one of the best young actors working today. Some movies that show the horrors of life are not intended to scare audiences, but give them a sense of hope. And “Beautiful Boy” is one of those movies. 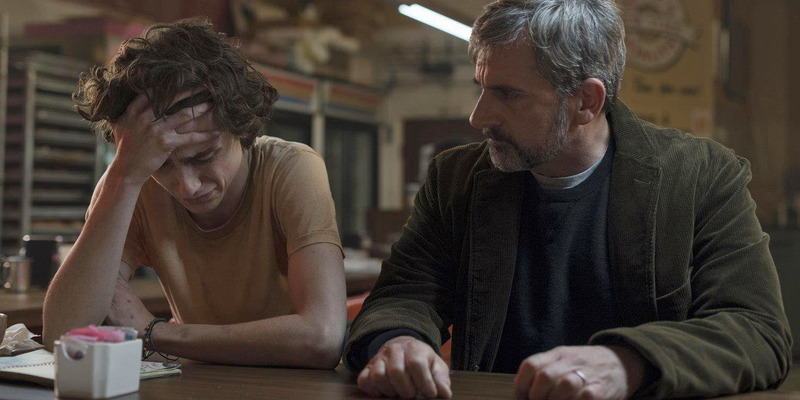 Giving a unflinching look at addiction, the performance by Timothée Chalamet playing Nic Sheff – who is spiraling out of control due to his addiction to methamphetamines despite the tenacious drive by his father, David (Steve Carell), to get him sober – is one you will not forget anytime soon. But unlike many movies about addiction, director Felix Van Groeningen doesn’t solely focus on Nic’s journey. He also focuses a good amount on what David is going through: his trips to the doctor to better understand his son’s addiction, the flashbacks he has to much simpler times when Nic was a boy, and the excruciating-to-watch confrontations between father and son when the frustration with the disease hits its breaking point. The movie shows how the addiction cripples Nic, but also how despite it all, the bond between David and his son is stronger. Chalamet, who proves here that he’s definitely one of the best young actors working today, and Carell give Oscar-worthy performances. And the movie’s look may also find awards consideration. Set mainly in the San Francisco area, the camera work at the locations by cinematographer Ruben Impens is breathtaking – a subtle juxtaposition with the not-so-pretty topic the movie covers. See where “Beautiful Boy” is playing near you.